Track your player, team or competition. Record stats for all levels of basketball supporting multiple teams, leagues, and seasons. Minimal touches to log data for fast input during the game. Email customized reports per game,player or season. Video of app on our site. Designed with team data collection in mind providing the ability to track as much or as little data per team or game as you want. We have used non-iOS devices for years tracking basketball and from that experience we designed a better way to track data live during a game. • Use jersey numbers or player initials as well as team colors to identify players. ** SportsEngine integration requires an Annual membership ($4.99/year): 1 year of access to your existing SportsEngine web site integration on your iOS device for $4.99. This plan automatically renews on a yearly basis. My only complaint is that my attempt to get help from customer service fell on deaf ears, very disappointing considering the first time I reached out, they couldn’t do enough to help me. I discovered a glitch in the latest version and I hoped to get it fixed. For some reason, the system randomly adds an additional free throw attempt as a miss when two or more free throws are recorded. There is no pattern to what triggers it to happen, but during the course of a high school basketball game, I’ll find 3 - 5 occurrences. I hope someone sees this and it results in an update to fix. This app has gotten me through my two boys 4 year high school career and one college career. 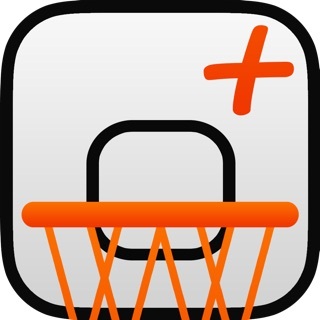 I’m looking forward to the start of a second college career with this app, hopefully, with an updated free throw fix! We don't have any record of this issue. Please email us at support@iscoutsports.com. I have been using it now for 2 years with close to 100 games stats taken, of footage. Has everything you need for stats types. Easy to fix mistakes by editing the running play log. Export shot charts, which my coaches love and all major scoring and non-scoring stats. The best and most comprehensive stat collecting tool I’ve used. Easy to learn. Easy to use during games. Would recommend to anyone interested in collecting and managing game and season stats. When an issue arose (rarely) it was fixed very quickly. © 2017 Blackbelt Apps LLC. All rights reserved.